4 Ways To Maximize The Impact Of Your Training When Migrating From Flash To HTML5 These 4 Examples on How to Use Migration from Flash to HTML5 To Enhance the Impact of Your eLearning helps organizations improve their eLearning. 5 Examples Of Interactive Video Solutions For Corporate Training This video shows 5 examples of Interactive Video solutions to craft high-impact corporate training for formal training and performance support. 5 Examples Of Blended Induction And Onboarding Training Programs This video averts the challenges of ILT delivery with 5 examples on the impact of blended/fully online Induction and Onboarding training programs. How To Select The Right Outsourcing Partner And De-Risk Your Outsourcing Initiative This video showcases how you can select the right outsourcing partner and what you can do to get your outsourcing strategy right. Through two characters, the video conveys effectively what organisations need to watch out for when considering an outsourcing initiative. 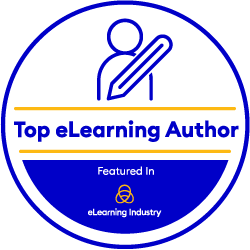 Video On Gamification In eLearning 6 Killer Examples EI design’s video on Gamification provides insights to businesses on how they can incorporate Gamification in eLearning effectively. How Personalized eLearning Engages Learners In this video, we are presenting all these ways in which learners can become more engaged thanks to personalized learning.